Should Pastors Receive Honorarium for Weddings? 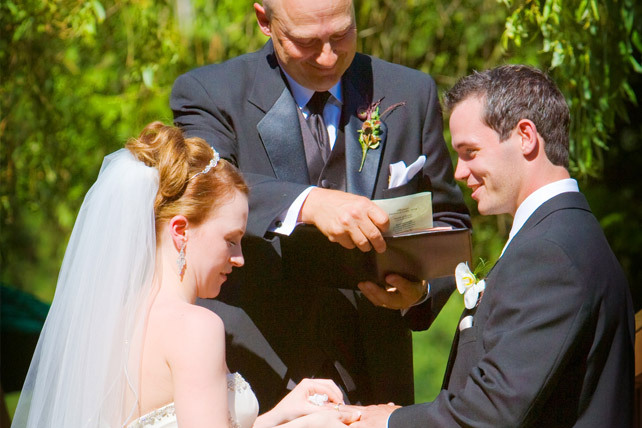 Home Pastors Articles for Pastors Should Pastors Receive Honorarium for Weddings? Pastor #1: Sure glad you wrote that article on honorarium. I had a couple sign a covenant for five premarital sessions and they agreed to a hundred dollars for the honorarium. So we went through the counseling sessions, the rehearsal and dinner, the wedding and reception. The husband (not connected to the church) and his wife gave me a thank you card with 25 dollars in it and called it “your tip.” The lay minister for whom I did the wedding (upon hearing the story) immediately gave me 75 dollars to pay the difference. I have read the comments you got, mostly in the “but it’s for God, so why worry?” category. As a female pastor (divorced and widowed) with three small children, my church salary fits in the “eligible for welfare” category. I have never seen anyone write on the subject and spell it out in good detail. Glad you did. Pastor #2: I decided a long time ago not to take an honorarium for weddings or funerals. With a wedding, not only do I do the wedding, I also do the rehearsal and several sessions of premarital counseling. It’s not unusual to meet the couple at a restaurant to discuss things and I pick up the tab. At $50 or $100 (and I know that many couples are just starting out, but they pay the caterer and florist big bucks), I’d rather not get “paid” because what they give shows they do not value what I invested. Recently, I did a wedding for a couple and told them not to pay me. They did give me a vase from an expensive store. I decided to return it because it was about the last thing that I wanted or needed. The only store of this sort was over 30 minutes from my home and when I returned it I found it was worth $12. Hardly anything else in the store was that cheap and they would only give me a gift card credit. Fortunately, it was Christmas and a young woman was looking at Christmas ornaments. I was able to give her the gift card and escape with a blunt reminder of why I don’t take money for weddings. Let us not give in to outrage, natural as it would be to any sensible person upon reading these accounts. Let’s instead be calmly reasonable and cost this out. Say, three sessions of premarital counseling at an hour each. Then a two-hour rehearsal, after which will be the rehearsal dinner (which may be pleasant enough, but hardly a social event for the pastor and his or her “+1″). Then the wedding itself and the reception, which easily take up four hours and possibly an entire day. And let’s presume that the pastor commits at least a few hours to prepare properly for the rehearsal and wedding and to compose a homily. Total time on task: a minimum of 15 hours, by my reckoning. John G. Stackhouse, Jr., draws on history, sociology, theology, and philosophy to explore the intersection of Christian faith and contemporary culture in North America and beyond. A graduate of Queen’s University at Kingston, Ontario, Wheaton College Graduate School, Illinois and The University of Chicago, he is the Sangwoo Youtong Chee Professor of Theology and Culture at Regent College.